B3 not mentioned on the label, names taken from the later digital version. Is it true that the track titles are all computer viruses (malware)? Quite clever if they are, as nobody would dare download them! Magic moments with Aphex Twin , complicated , dark, melodic , great landscapes! magic release! VBS.Redlof.B is probably one of the best tracks I own in my entire collection of records. AMAZING! 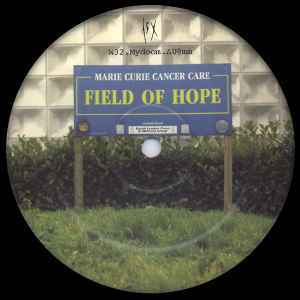 My favorite LP in the series and possibly one of my favorite AFX releases of all time. The first track is an epic 8-minute-long anthem of ominous dread that ends on an exceptionally high note. Track 2 is a straight-up classic feel-good stomper which manages to sounds uncomplicated and ingenious at the same time. The last track is a murky lo-fi outro which fades out to a hum around the 3 minute mark and comes back again a few seconds later in an even more evil-sounding way. Highly Recommended. As we come to the final entry in the superb Analord series, one drops the needle with high expectations. I expected a real dynamite closer. Needless to say, my wish is RDJ's command. The A side isn't particularly remarkable. Its melody gets somewhat boring after a few minutes, but the outro is very strong. VBS.Redlof.B is an exceptional dance track-- just the right speed, just the right melody. Everything in this track clicks perfectly. The final track of the Analord series, Backdoor.Ranky.S, feels like something from SAW1. It works as an ambient track, and serves as a nice closer to the series. As the finale to an excellent series of EPs, Analord 11 works wonders. It's not the greatest in the series, but it is still of a high quality and worth picking up. This is by far my favorite of the Analord series, and probably my favorite vinyl too! The first track has a really dragged on, winding notes, almost like the slithering of a snake or something omnious out to get you. It also sounds like what AFX would've made for Super Mario Brothers Boss Battle Theme with Bowser if he was in charge, so I love that angle of it. "VBS.Redlof.B" is an increible track, ultra dancable and also sounds like it has a hit of an ADHD Mylo. The closer isn't the best though, nothing in it exists in the foreground, even more than ambient music, but overall, it's great! This is one of the better releases of the Analord set. A1 starts off nice and glitchy, with a ridiculous tempo that wouldn't sound right if it weren't an RDJ track. Now B1 is the highlight track, I believe RDJ was feeling a 1992 retro techno vibe when compiling this track because it sure has that cheez-ball techno vibe, but of course with the glitchy idm sounds that give it the APHEX (AFX) signature. B2 is a lot more on the ambient laid-back side, with an interesting murky melody. Not as good as the first 2 tracks. OVERALL: An excellent release in the series and probably on my top 3.